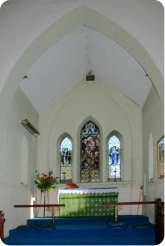 St Michael and All Angels was a Licensed Place of Worship in Soudley village. It was built in 1909 and was used as a place of worship until 30 April 2017. The decision was made to cease using the building as a place of worship so that it could be sold with the hope that the building would be preserved as a focal point in the village. It was feared that with infrequent use and rising costs of maintenance that without private investment, the building was at risk of degrading. 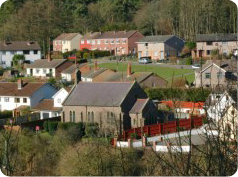 The Benefice of Cinderford with Littledean continues to include the village of Soudley and it is planned that some services and events will continue in the village by using the village hall. A service of remembrance will continue to be held at the village war memorial each year. A celebration service took place at St Michael and All Angels on Sunday 30 April 2017. You may wish to download a copy of the service booklet containing many photos of the building.